We must retrench the extravagant list of magnificent schemes which received the sanction of the Executive … the great Napoleon himself, with all the resources of an empire at his sole command, never ventured the simultaneous accomplishments of so many daring projects. The acquisition of Cuba … ; the construction of a Pacific Railroad … ; a Mexican protectorate, the international preponderance in Central America, in spite of all the powers of Europe; the submission of distant South American states; … the enlargement of the Navy; a largely increased standing Army … what government on earth could possibly meet all the exigencies of such a flood of innovations? 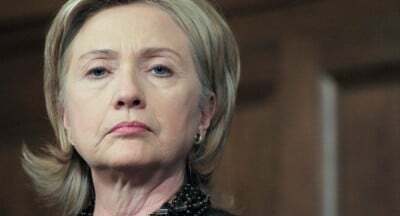 Hillary Clinton, also a former Senator for the Democratic Party, also used her time at the State Department in the most ‘effective way’: she initiated a war in Libya, provoked a devastating civil war in Syria and masterminded coup in Honduras, while provoking and antagonizing left wing governments in virtually all parts of Latin America. Both of this year’s US Presidential candidates have, undoubtedly, their doubles in the not so distant past. While Donald Trump’s ones lived in the 20th Century in Germany and Italy, Hilary Clinton had a homegrown predecessor; a man who was defending slavery and the status quo and who, most importantly, turned the United States into an aggressive imperialist and neo-colonialist power.